It's the Obon period at the moment, which means no new magazines or major news stories from Japan. 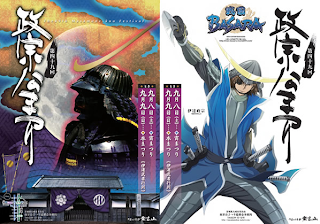 I took the opportunity to add a calendar to the tabs at the top of this site to monitor upcoming Sengoku Basara releases and news. It's likely that it will fall into disrepair at some stage, but I hope that having a calendar helps keep track of what's going on. 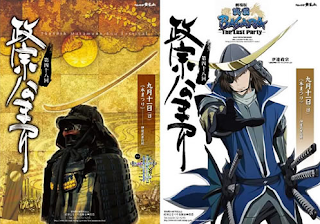 Gyoubu to return in Sengoku Basara 4? According to HokutoNoBen who managed to attend an Otakon Q&A panel with seiyuu Seki Tomokazu (Ishida Mitsunari) at the weekend, we should be seeing Yoshitsugu back in Sengoku Basara 4. This hasn't been confirmed by Capcom and there's no indication of whether he'll be playable or not; still, it's promising news! 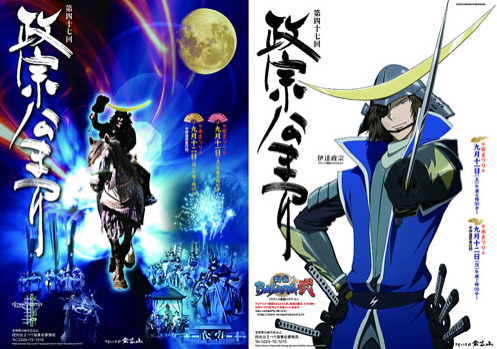 Promotion has begun for the 50th local Masamune-kou Matsuri held on 7th-8th September 2013 in Iwadeyama-machi (Oosaki). This year, one of the posters used to promote the festival will use a special Sengoku Basara 4 design instead of the normal anime drawings. I'd love to go to one of the festivals, they look so awesome :D I'm going to Japan next year, so here's hoping I get a chance to go see some great Sengoku related stuff. btw, I was just browsing AmiAmi and I noticed they had added a SB4 calendar due for release in October. The calendar is interesting because when it was announced they said there'd be thirteen pages (presumably each featuring one character). 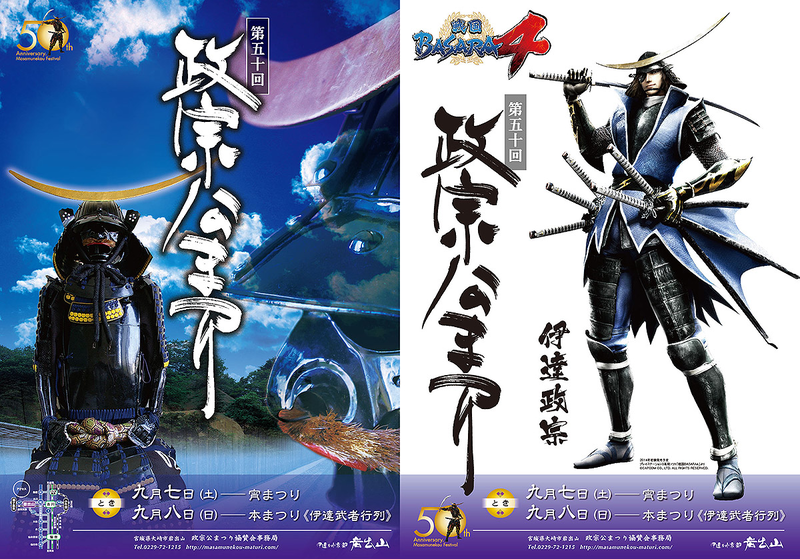 Except only eight characters have been announced for Sengoku Basara 4 right now, so I hope we get to see the next five soon. I suppose it will be in this month's magazine at the latest!